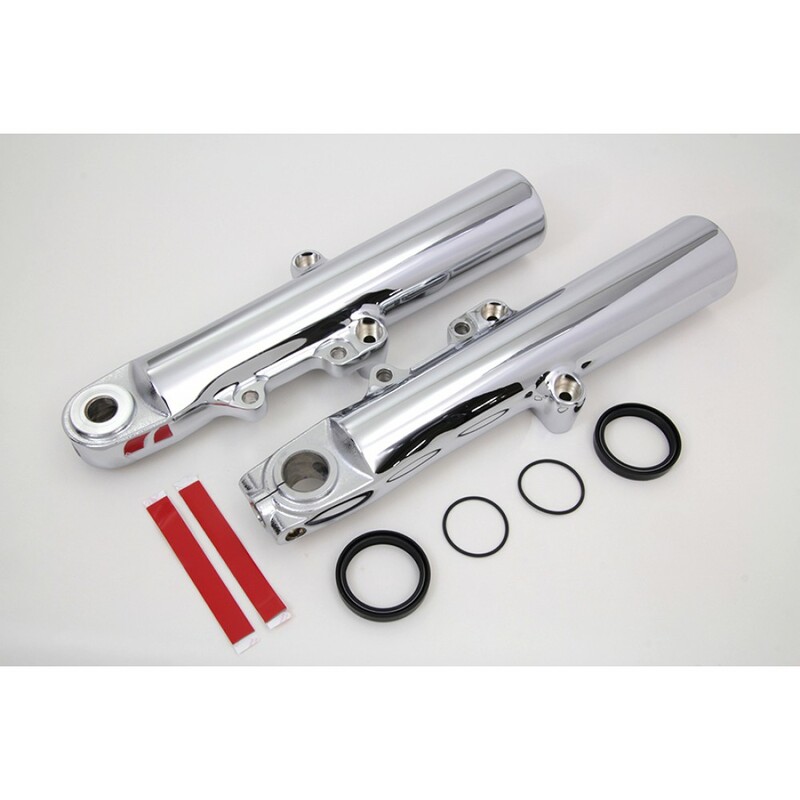 Complete fork slider kit for 49mm tubes includes chrome lower fork slider set, upper fork slider covers and seals. 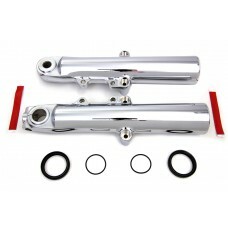 Will not fit Tri-Glide models. We recommend 20 weight oil for average conditions. 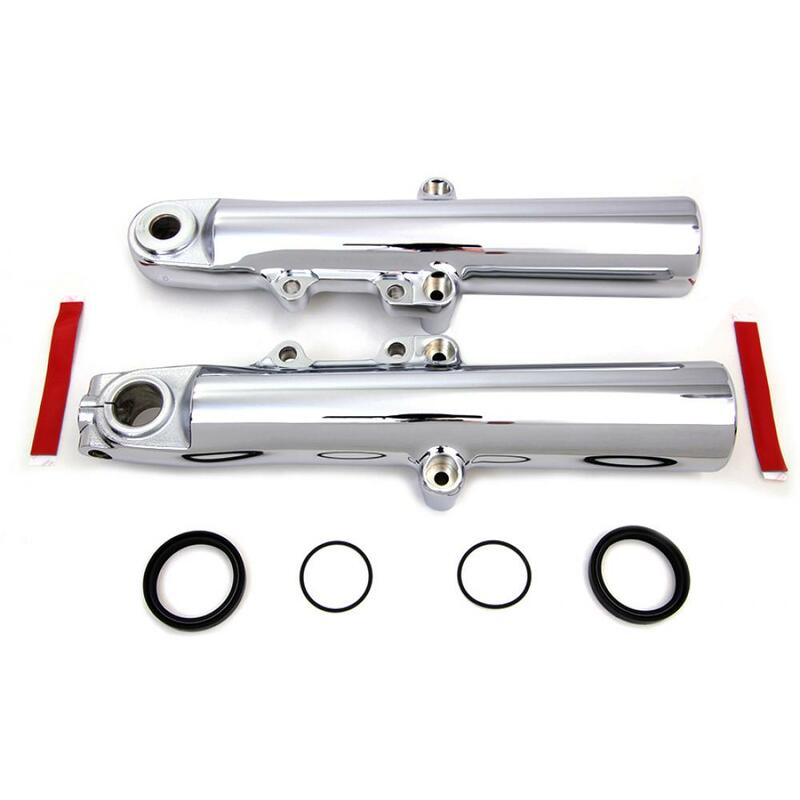 Chrome dress up kit includes lower legs, upper fork cover, axle spacer set and outer nut covers. All..